The "Choose a format" drop-down on the Loans page has been changed to "Download" for clarity. 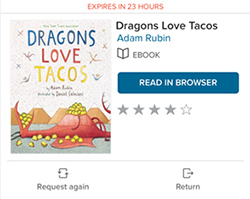 If you do not sign out at the end of your session, OverDrive will keep you signed in longer by default, eliminating the need to sign in each time you visit our digital library on your mobile device. 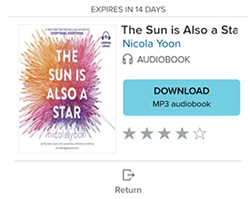 The OverDrive Read and OverDrive Listen formats have been removed within the OverDrive App to simplify the format selection step and allow you to begin reading and listening quicker. 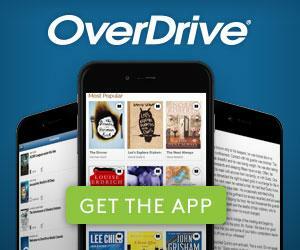 If you prefer using the OverDrive Read and OverDrive Listen formats, you can still access them by visiting OverDrive through a web browser. 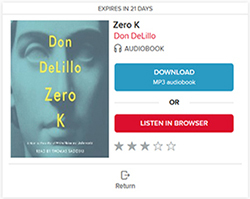 Exceptions include titles that are only available in the Read and Listen formats. 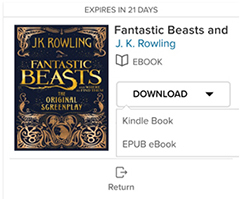 They will still be available through the app as well as through your browser. If you haven't already, you can download the OverDrive app for your mobile device or visit our OverDrive today to check out some new releases or find an old favorite!